Have you ever thought that there could be a connection between tea and fashion? Teacup tattoo design is the answer to this. 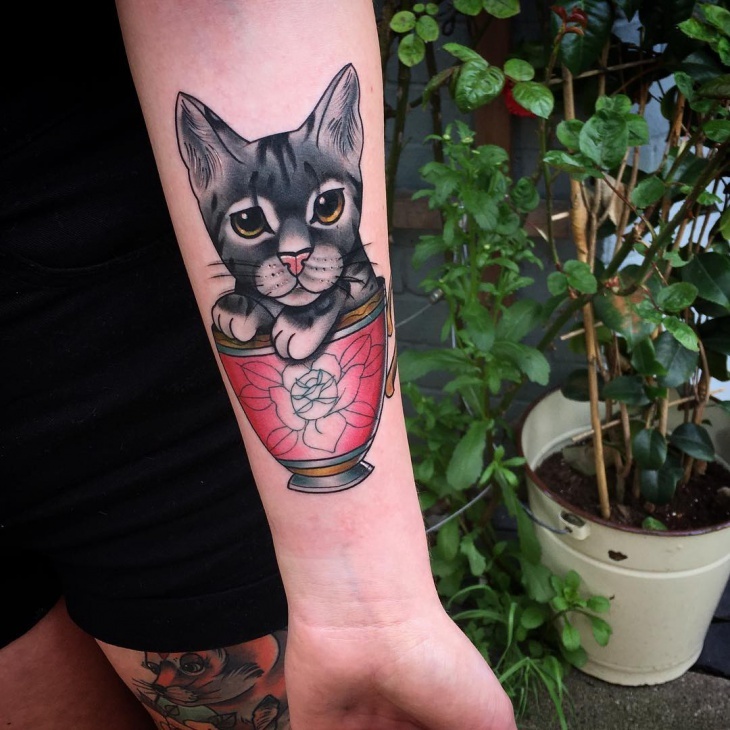 Getting any part of your body inked has become a style statement nowadays and various unique designs are making their entry into the tattoo world. 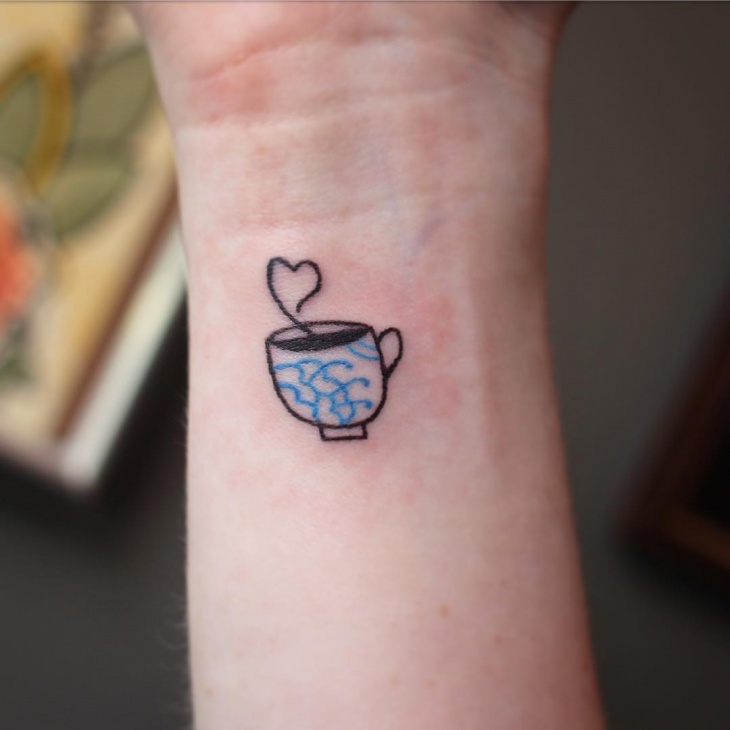 One such amazing design is the teacup tattoo design, which is specially designed for tea lovers. Some attractive teacup tattoo designs are shown below. 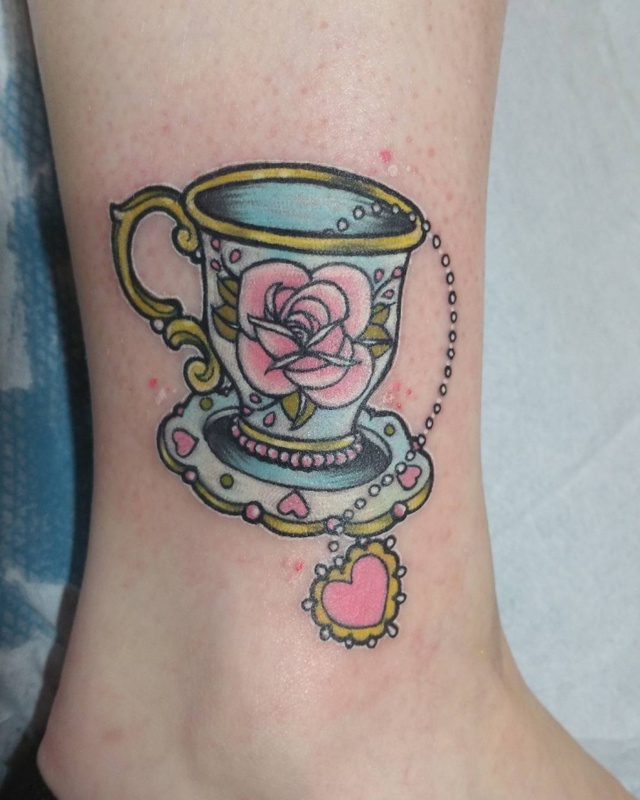 First up on this list is the traditional teacup tattoo. 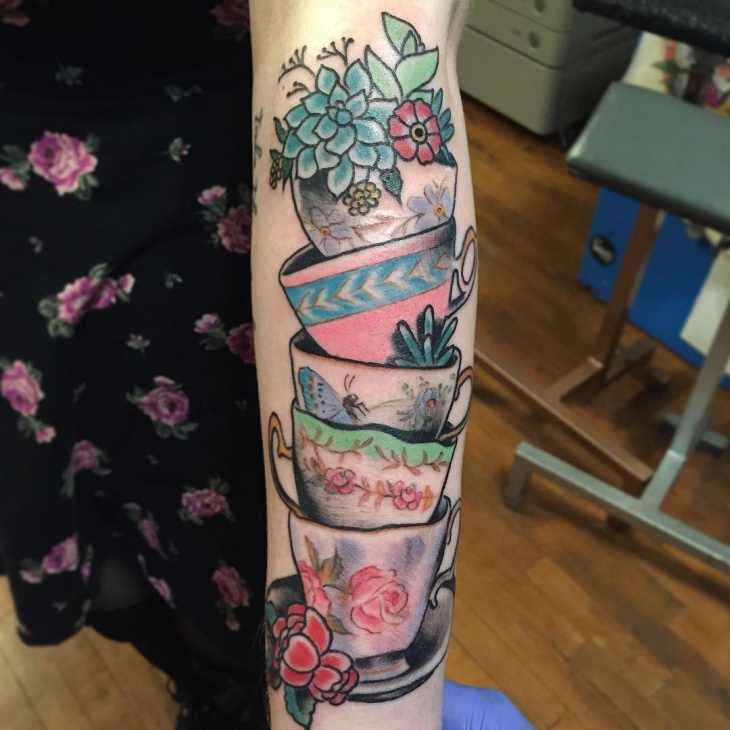 This tattoo features five teacups placed one on top of the other and all the teacups have prints which look extremely traditional. This design would look best on the forearm. 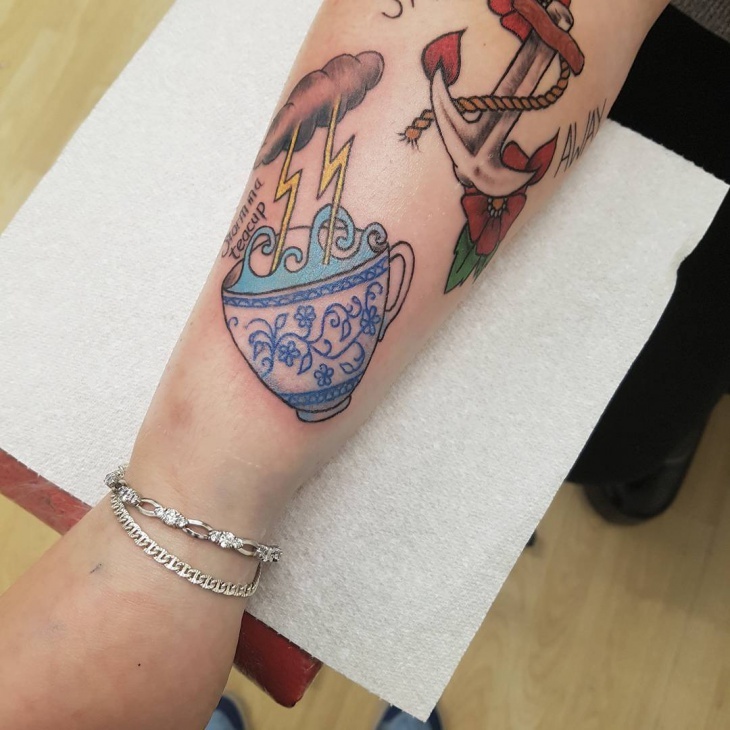 At the second spot, is the storm in a teacup tattoo. Storm in a teacup is a term which is used to refer to how people exaggerate small things and turn it into big problems. This phrase is also referred to as tempest in a teapot. 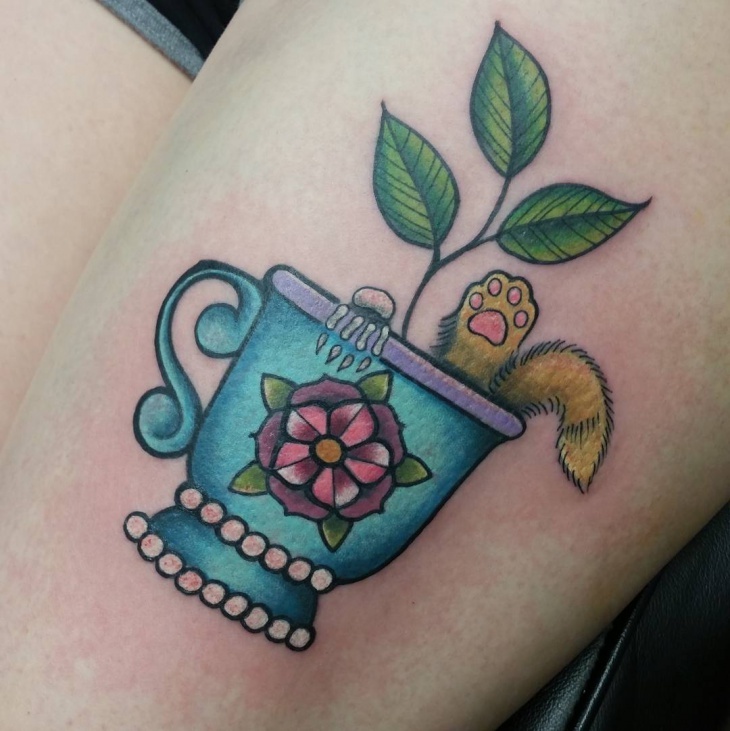 This design is one of the most popular ones in the category of teacup tattoo designs. 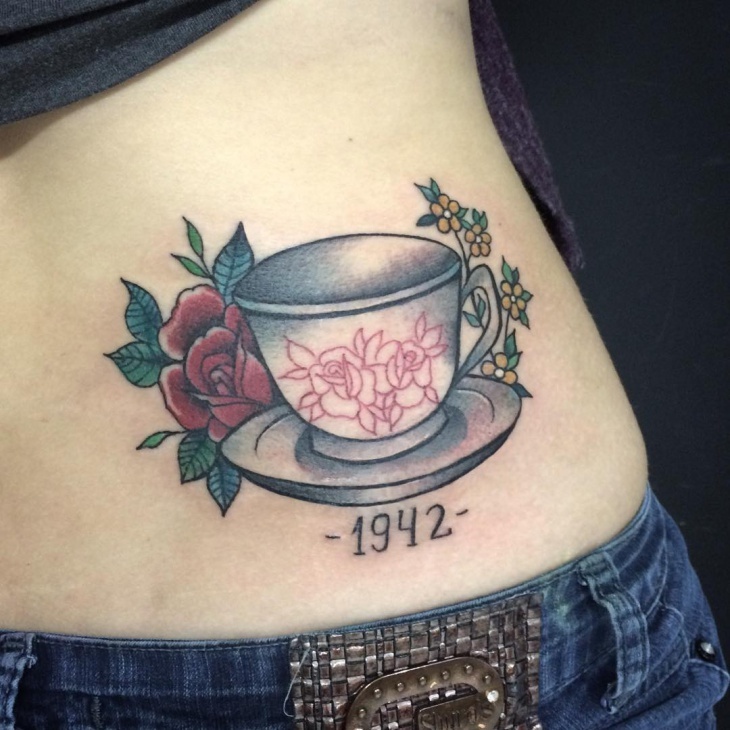 Coming up next is the vintage teacup tattoo design. 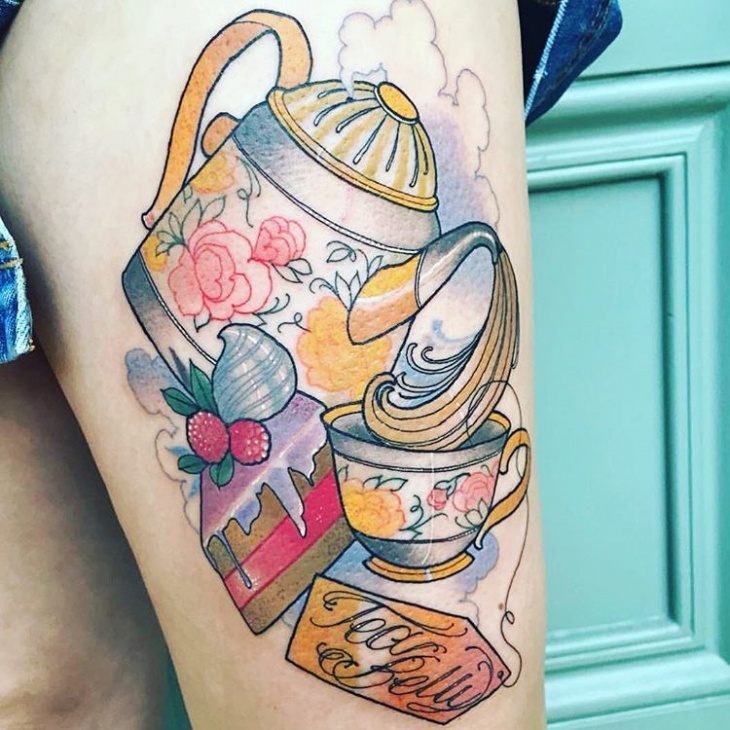 This tattoo is designed for vintage lovers and is a treat for the vintage soul. 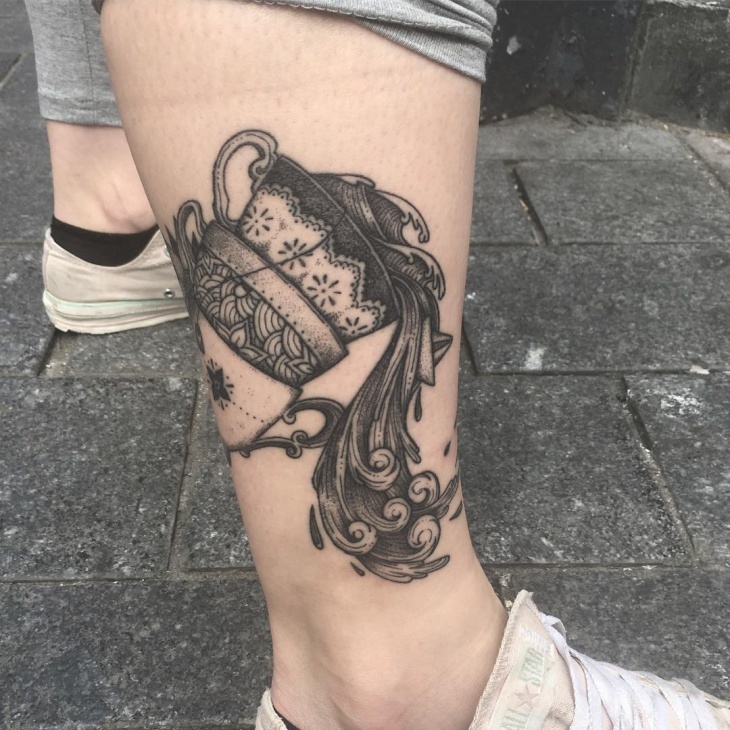 This tattoo features a vintage style teacup in black, which looks extremely classy. At the fourth spot is the tiny teacup tattoo on the wrist. This tattoo is designed especially for those individuals who are going to get themselves inked for the first time. Even though the tattoo is small, it looks cute and stylish. The teapot and teacup tattoo comes next on this list. 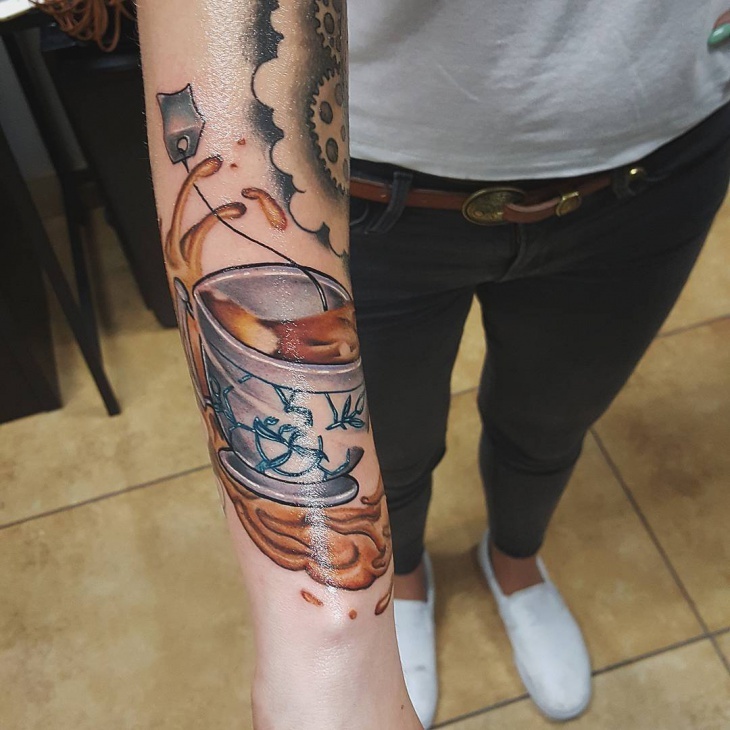 The tattoo shows tea being poured from a teapot into a teacup. The colours used make the tattoo look more attractive. 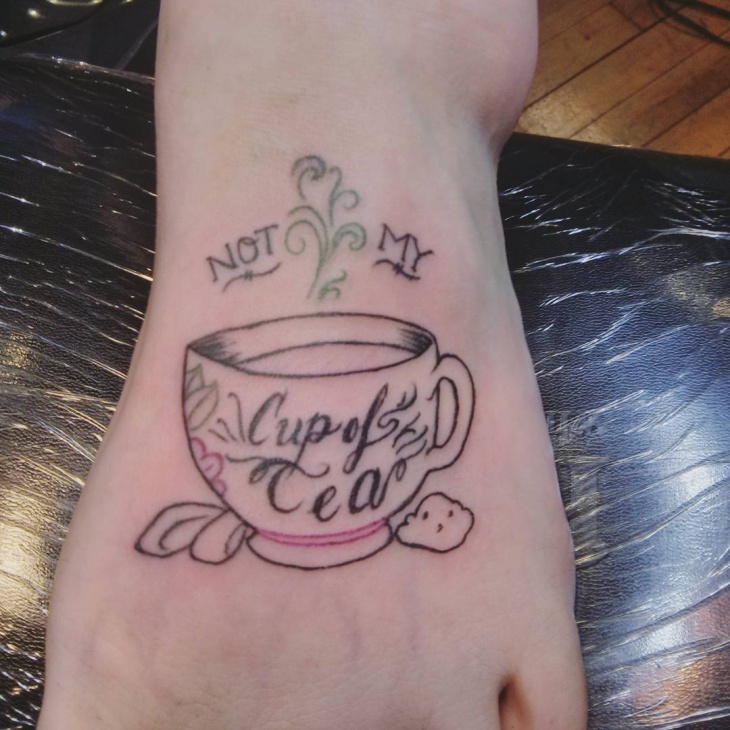 Next up is the teacup foot tattoo idea. 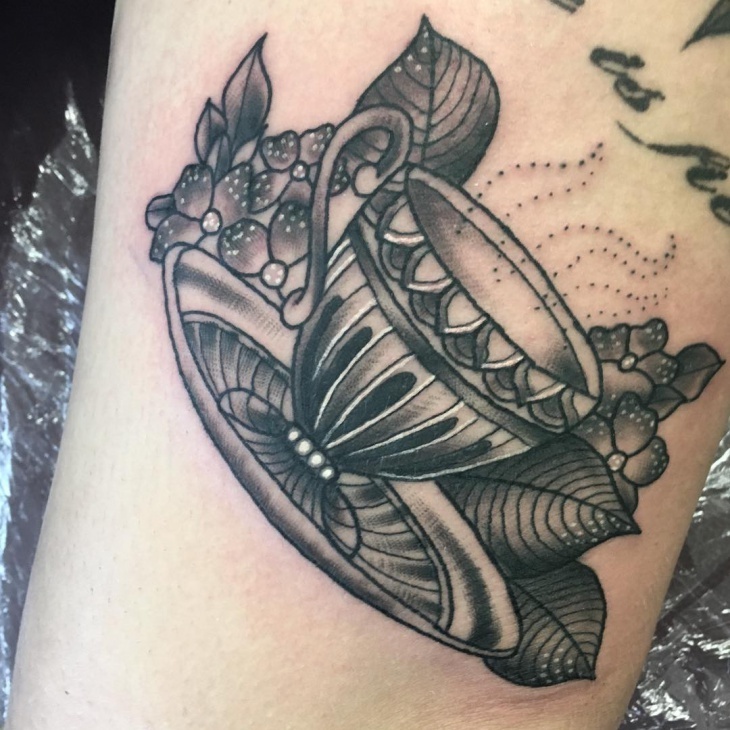 Foot is one part of the body where minimal tattoo designs look the best and the tattoo design shown in the picture above is perfect if you wish to get your foot inked. The words on the tattoo – Not my cup of tea – also have a touch of humour, which helps in showing off your humorous side. 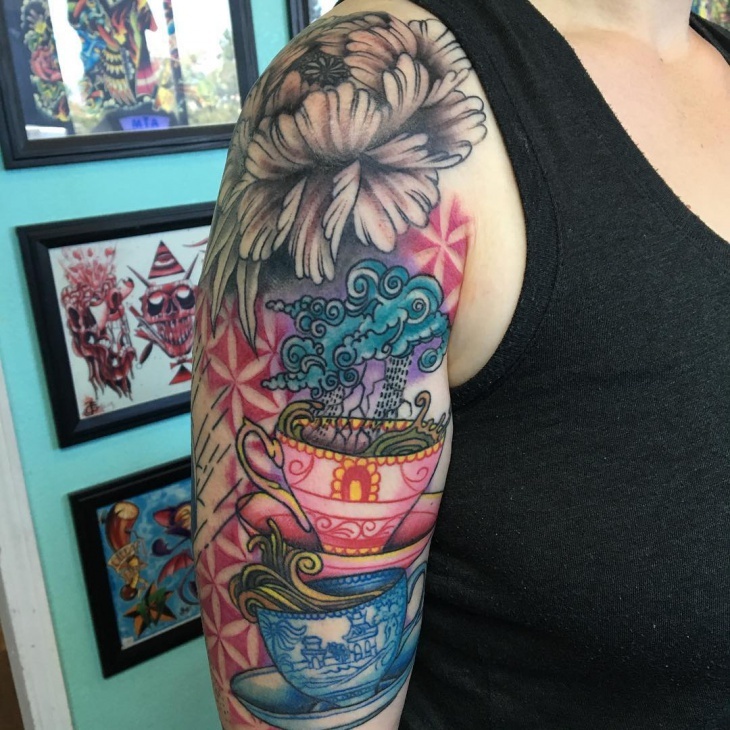 At the next spot is the half sleeve teacup tattoo. This tattoo looks extremely attractive and wacky. Some amazing colours are used in this tattoo, which add to the beauty of this tattoo design. 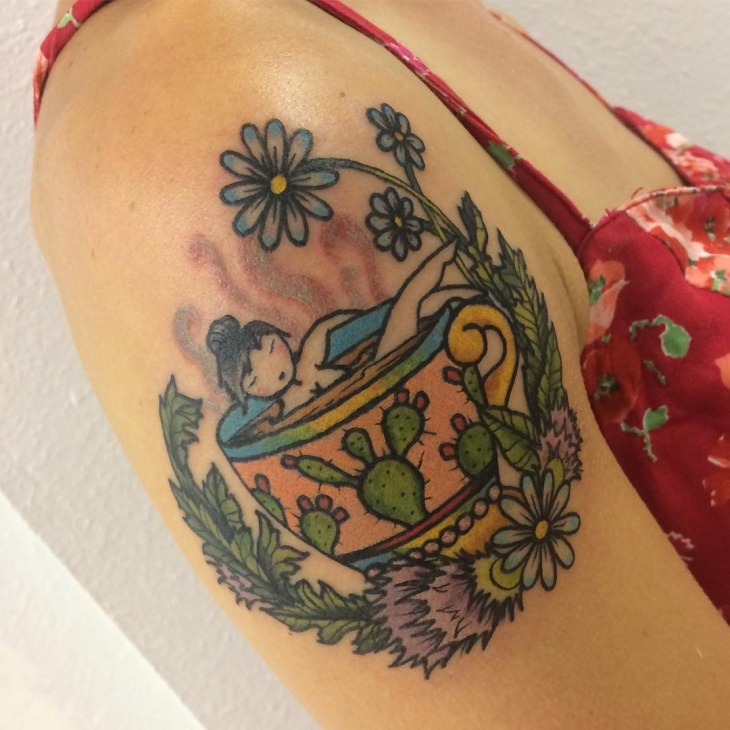 The floral teacup tattoo design is also extremely popular in this category of teacup tattoos. 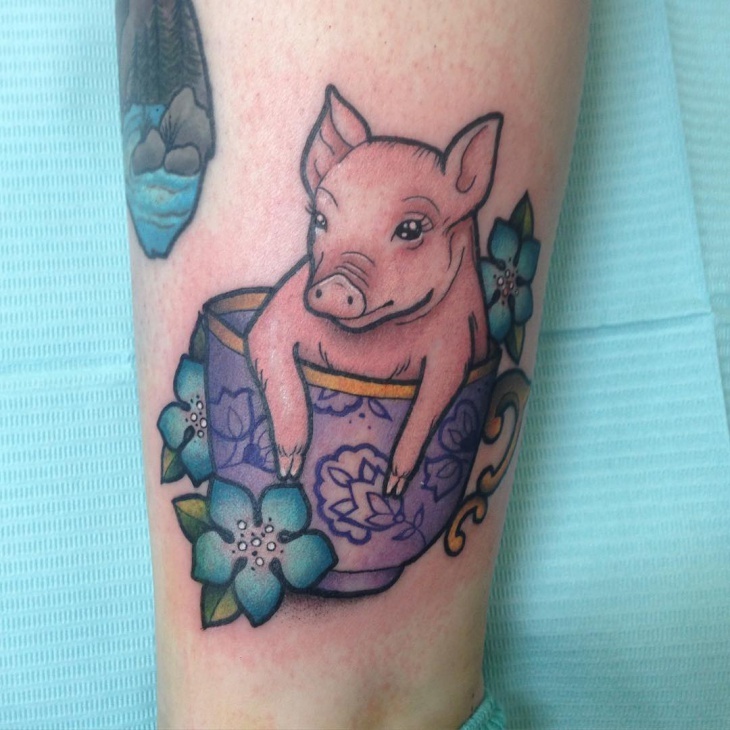 The floral teacup tattoo looks cute and has become a rage amongst females. 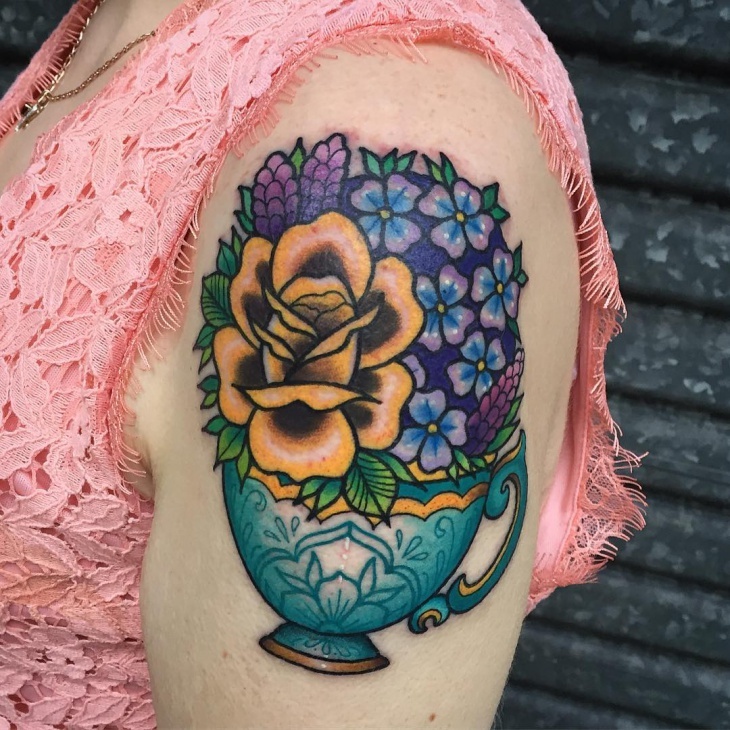 Another tattoo design which is best suited for the forearm is the teacup tattoo on forearm. 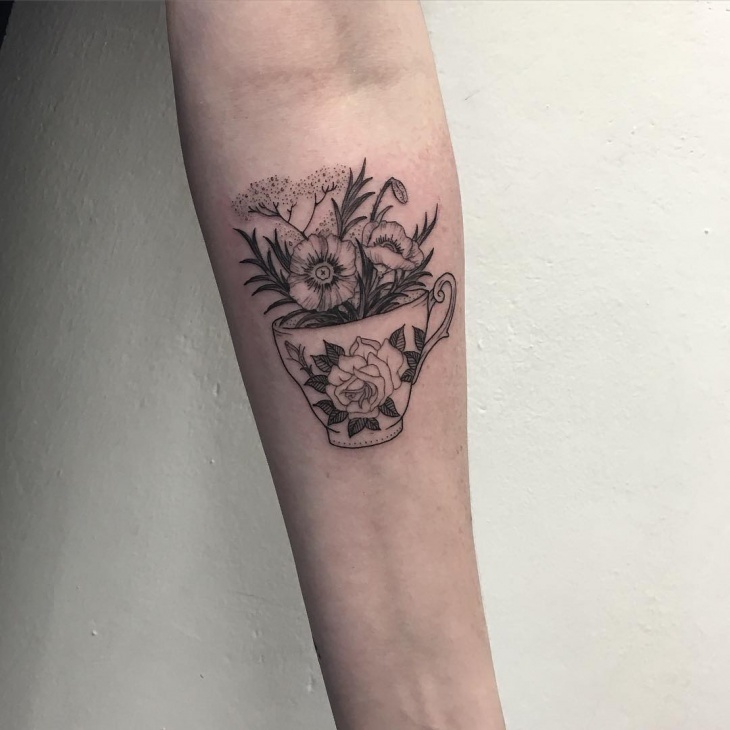 This tattoo, which features a sketch of a teacup with flowers, looks alluring and is a great choice for women. 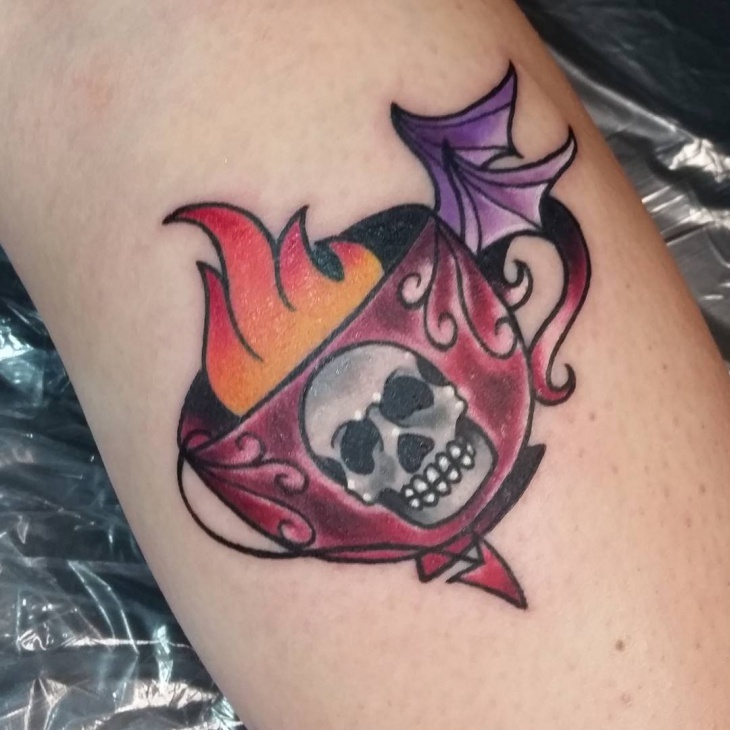 Last, but not the least, is the broken teacup tattoo. 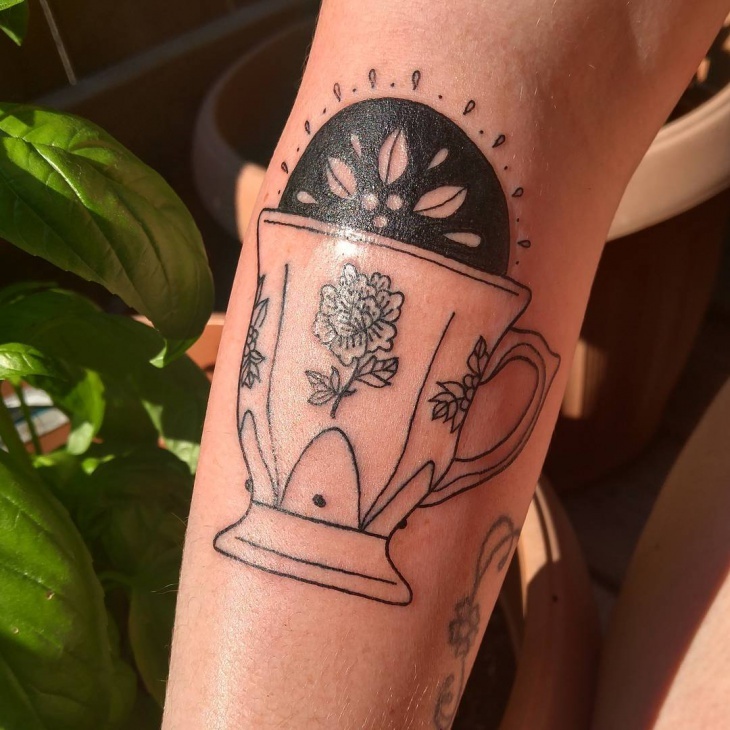 This tattoo, which features a teacup which is broken at the sides, looks completely out of the box and it is designed specifically for those who wish to set a trend with their tattoos. 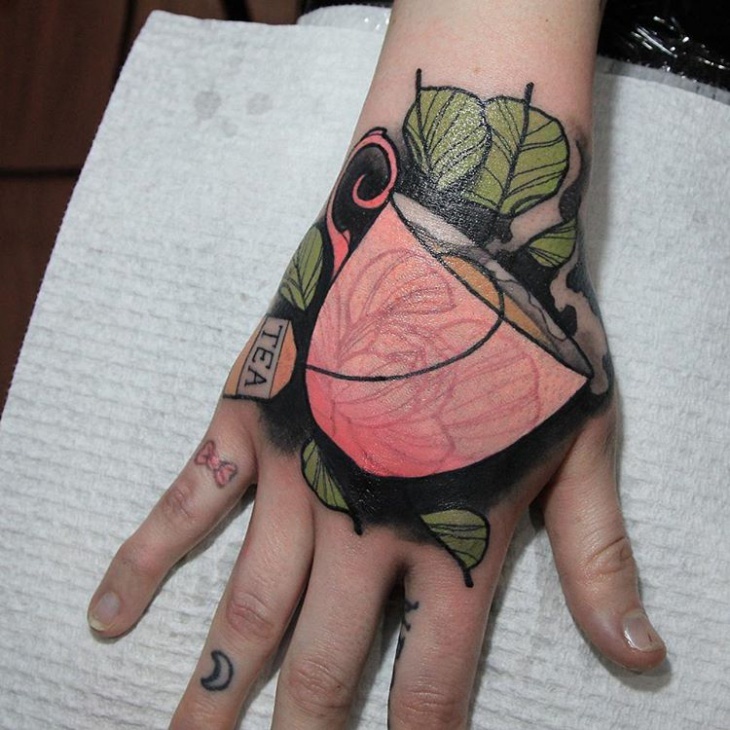 Teacup tattoo designs have become a rage amongst tea lovers. This is the best way to flaunt your love for this great beverage. Heart tattoos, which look extremely beautiful and trendy, have also become a hot favorite amongst all the age groups. So, do you think it’s time to show your tribute to this popular drink? 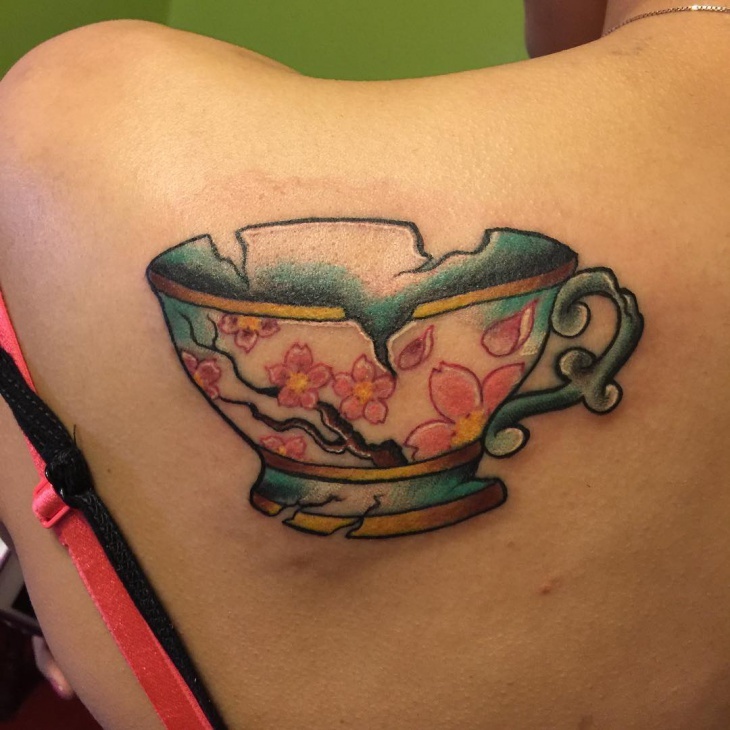 If yes, then teacup tattoo designs are definitely the perfect choice for you.